World War Two played a lot of roles in history. It shaped the face of the globe, it changed the way nations viewed war and brought about many technological advances. Some advances, such as radar, would have uses outside of war, but many developments would be used purely for war. 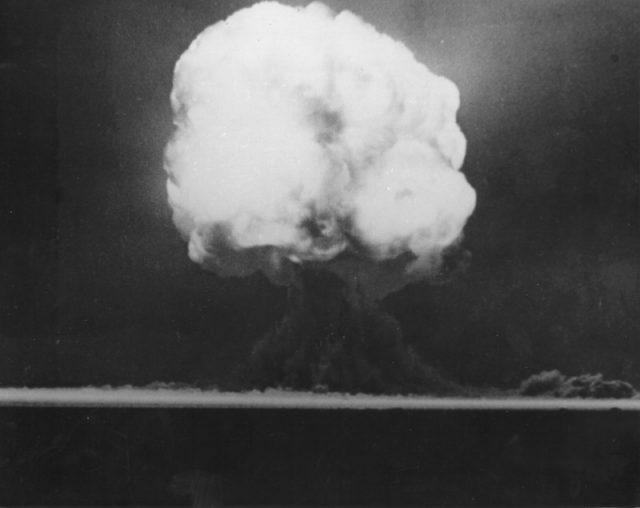 Guns were improved, tanks grew stronger, and the ultimate game-changer, the A-bomb, would bring about only destruction. The war was a time of experimentation with different types of offensive and defensive weapons. Many strange or ineffective weapons were developed on both sides in the hopes of gaining an advantage against their foes. Bat-bomb canister, later used to house hibernating bats. This was a time where scientists on all sides were provided with tremendous resources and opportunities to dig into all sorts of research, with the purpose of bringing ruin to the enemy forces. For the United States, one strange and ill-fated weapon would come to be known as the bat bomb. While it might sound like a weapon utilized by Batman in the 1960s, the bat bomb’s purpose was to weaponize bats against the Japanese. The scheme was complicated, strange, and cooked up by a dentist by the name of Lytle Adams. Lytle was not a military man. He was a dentist from Pennsylvania who had a stroke of inspiration. Bats were nocturnal creatures and capable of carrying more than their own weight. Since these creatures often traveled together in large groups and would hide from plain sight during the daytime, utilizing them as weapons of war had some merit. Errant bats from the experimental bat bomb set fire to the Carlsbad Army Airfield Auxiliary Air Base in New Mexico. He concocted an idea where bats would carry explosives with them and when they reached strategic targets, they would drop their payload, starting fires that would quickly ravage the area. 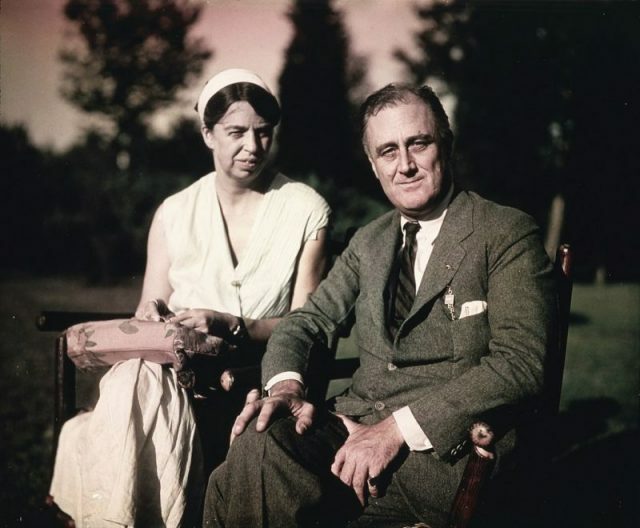 Unlike inventors who often have great ideas but no one to pitch them to, Lytle had a serious connection: Eleanor Roosevelt. He was a friend of hers and through her, he was able to get his idea in front of the military brass–as well as President Roosevelt. Surprisingly, the idea was accepted, and development of weaponized bats began. The project was dubbed Project X-Ray. By 1943, Louis Fieser, the man who had developed military napalm, set about designing bombs that could be carried by the bats. These small incendiary bombs were light enough for a bat to carry and would reliably start fires. The bats would be placed in a state of hibernation, induced by cooling the animals down enough to put them to sleep. In their hibernating state, they did not need to consume food, which meant they could be shipped easily. A container would open up, releasing the bats all at once, allowing them to swarm over their target, releasing their payloads. 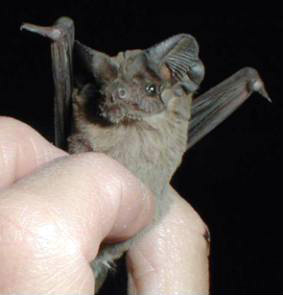 Tadarida brasiliensis, Mexican Free-tailed Bat. Initially, the tests of the project were promising. 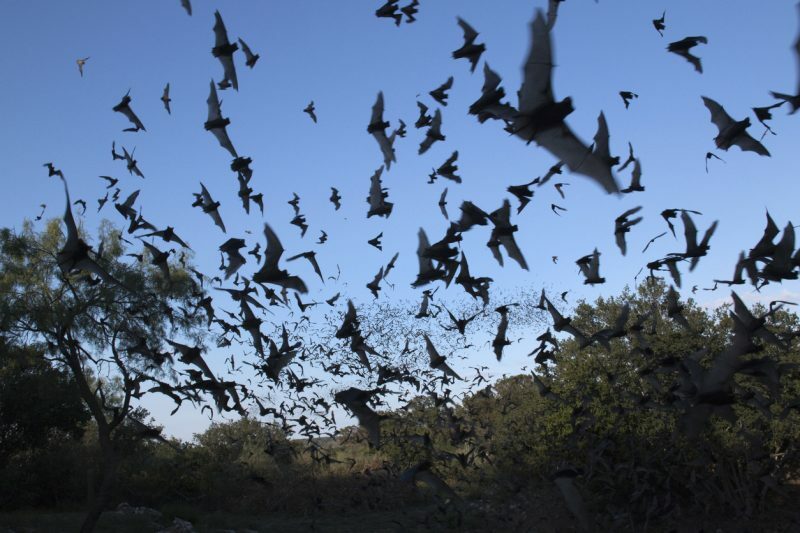 Using Mexican free-tailed bats, a test run proved that the concept was viable enough to continue developing. Although the idea was crazy and many who were working on the project acknowledged the strangeness of what they were doing, there was an attitude that X-Ray would succeed. Live testing was a different matter altogether. With the United States Army overseeing the weapons testing, a colony of bats were given small doses of napalm and were being readied to test in a live demonstration, when for some reason they were released early. 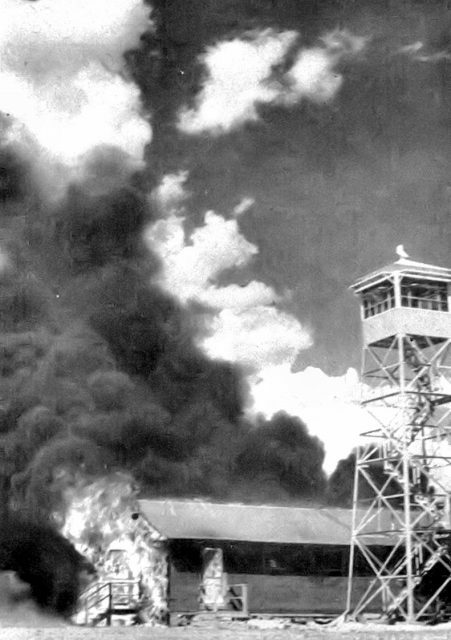 The bats set fire to the entire testing facility at Carlsbad Auxiliary Air Base in New Mexico, burning down a hangar as well as the overseeing General’s car. Perhaps this could have been seen as proof that the bats worked, but there were other problems. The weapon development process was painstakingly slow. 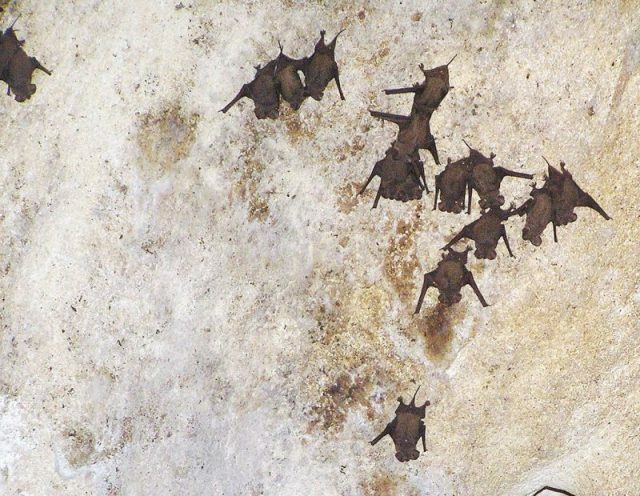 Free-tailed bats roosting in a cave in the Bahamas. By the end of 1943, the Marines were in charge of the project and over $2 million had been spent on Project X-Ray. The weaponized bat project was cancelled, however, due to growing interest in the atomic bomb. With projections of the weapon not being operational until 1945, interests were placed on faster methods of ending the war. The project was deemed a failure and was quietly discarded. 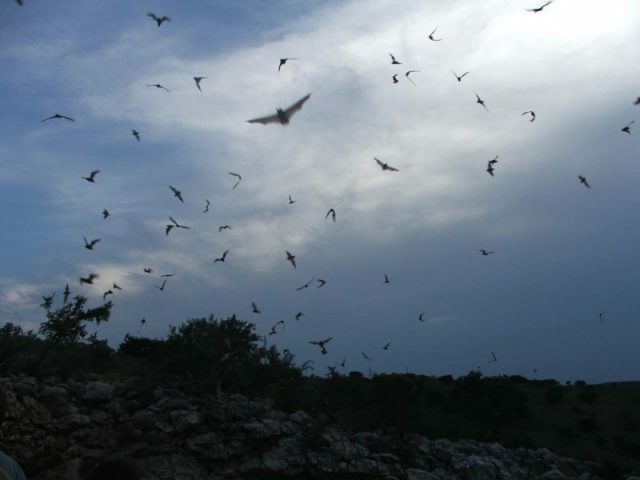 A cloud of Mexican free-tailed bats, emerging from Carlsbad Caverns, Carlsbad Caverns National Park, New Mexico. The inventor, Lytle Adams, still believed that if military development had continued, his weapon would have been able to devastate Japanese infrastructure, while minimizing casualties. Lytle himself would go on to continue his career of inventing and the war would come to an end in 1945, when America dropped the atomic bomb on Nagasaki and Hiroshima. Even if Lytle’s project hadn’t been sidelined, it’s doubtful the bats would have even been used.